James Lee Herndon, President of The Herndon Company has been selected for the Moody AFB Honorary Commander Program. This program seeks to familiarize community leaders with Moody operations by pairing them with commanders for both social and official functions. 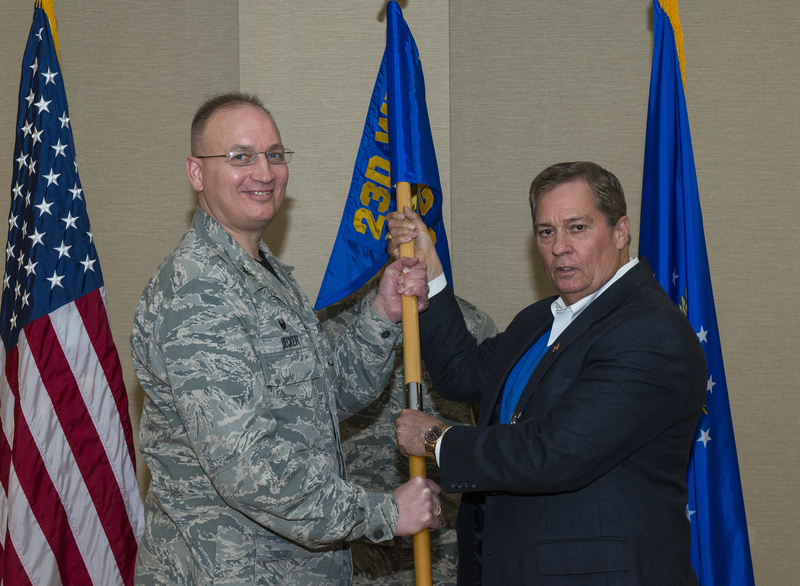 U.S. Air Force Colonel Jeffrey Decker, Commander of the 23rd Maintenance Squadron presents James Lee Herndon the guidon during the Honorary Commander assumption of command ceremony on January 23, 2015.